Can-Am X-Team pro ATV racer Chase Snapp won both the 2011 Texhoma Quad Racing Association Pro and Pro-Am class championships aboard the Can-Am DS 450 ATV. With two convincing wins at the TQRA finale held at Valley MotorSports in Tuskahoma, Okla., Snapp held off defending TQRA Pro champion and fellow Can-Am X-Team racer Hunter Miller for the Pro and Pro-Am titles. Motoworks / Can-Am pro DS 450 racer John Natalie won the 2011 AMA ATV Motocross Championship by finishing third overall in the series finale held at Loretta Lynn Dude Ranch. Motoworks / Can-Am DS 450 ATV racer Josh Creamer won both the Pro ATV and Pro-Am ATV classes at round six of the New England ATV Motocross Series in Minot, Maine. BCS Performance / Can-Am DS 450 racer Cody Miller joined Creamer on both podiums, finishing third in both classes. Can-Am X-Team riders had a successful showing at round eight of the Can-Am Grand National Cross Country series earning six podiums at The John Penton event held in Millfield, Ohio. Clifton Beasley won his 27th consecutive ATV race. 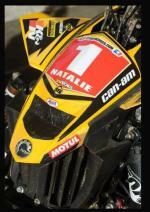 Team Warnert Racing / Can-Am DS 450 racer Adam McGill won round eight of the 2011 Can-Am GNCC Racing ATV series this past weekend at Snowshoe Ski Resort in West Virginia. 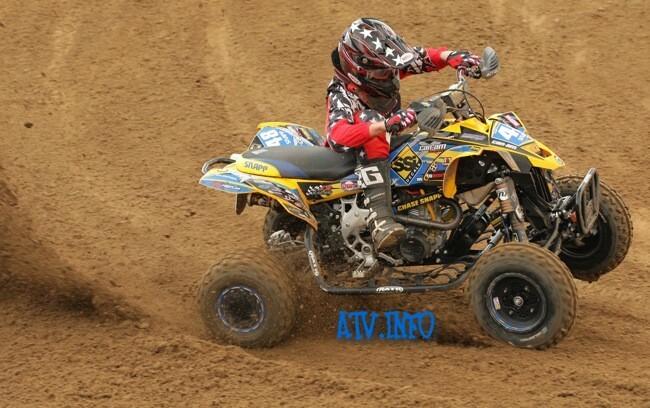 Can-Am GNCC racers made the trip to Patton, Pa., for the inaugural Rock Run GNCC over the weekend.